If you have the opposite problem and need to make your dirty white tees look super white again, you can use white vinegar, baking soda, lemon juice, or even crushed aspirin tablets. To fluff your comforters, fluffy jackets, and pillows that just went through the washing machine, throw a couple of tennis balls (make sure they're clean!) into the dryer. If you want to avoid the toxic chemicals of dryer sheets but want to eliminate static cling from your clothing, use a wadded up ball of aluminum foil in the dryer. 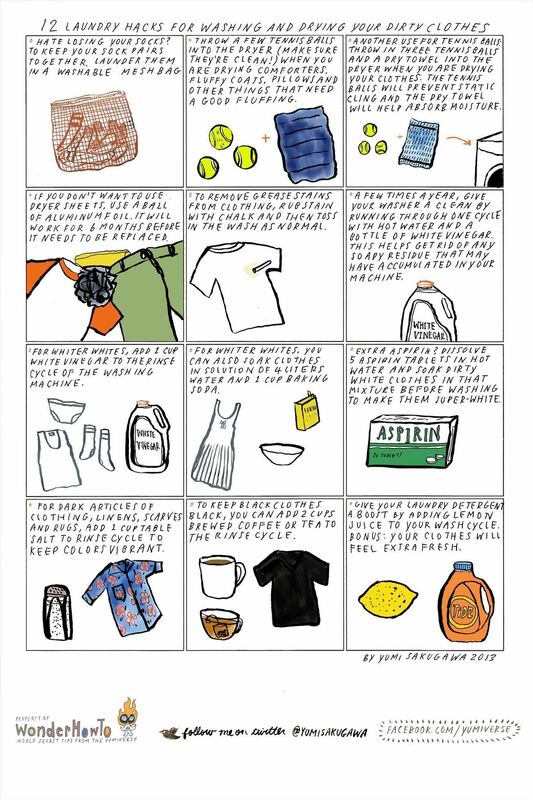 Got your own weirdly useful tips for being awesome at laundering your clothes? Share with us!